The goal of reaching Mars is a big one for NASA, one that has drummed up a lot of public interest and support, and spurred a range innovations for traveling to and living on the red planet. Scientists have been striving to prepare for a manned mission launch by the 2030s. While that’s just around the corner, a mission by that timeline appears to be out of reach, and budget limitations are a big reason why. Who Will Foot The Bill To Step Foot On Mars? It’s not surprising that a trip to Mars would be quite costly, but expenses are far beyond NASA’s budget and there aren’t any willing patrons from the private sector who have volunteered to cover the rest of the bill. NASA’s funding has stagnated over the last ten years but the costs to overcome the challenge of stepping foot on Mars have not decreased in the slightest. The process of sending unmanned, robotic explorers still results in as many failures as successes—with nine out of sixteen attempted Mars landings failing since 1970. Landing on Mars is an expensive, high risk endeavor due to the inhospitable combination of its gravity and atmosphere. On the Moon, low gravity and a lack of atmosphere meant that crafts could engage in a propulsive landing and no heat-shields were required. On Mars, a stronger gravity and the presence of a thin atmosphere creates far more variables, which requires the use of heat-shields, limits the ability to rely on parachutes, and makes landings unpredictable overall. NASA is looking at the use of a system that’s similar to the one used in Curiosity’s landing, but a manned lander would be heavier and therefore more difficult to land using the same level of technology. Any hopes of reaching Mars by the 2030s may well depend on what will happen in the 2020s, as NASA’s 2020 rover mission is due to begin and SpaceX is currently working on an experimental Mars mission to launch in as little as three years. Their success or failure may provide a better idea of just how close or far away humans are stepping foot on Mars, and whether or not we can afford it. 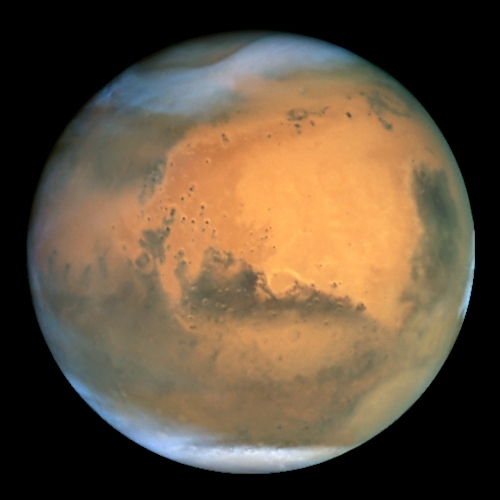 Do you think we’ll find a way to make it to Mars in the next twenty years? Comment and share your thoughts.